I saw this movie the other week. It was a pre-showing, and being based off a New York Times Best-Seller Teenage novel, the theatre was packed with cliques of 13-16 year olds. I arrived right when the film was starting, and immediately someone threw me a package of kleenexs- it was just going to be one of those films. 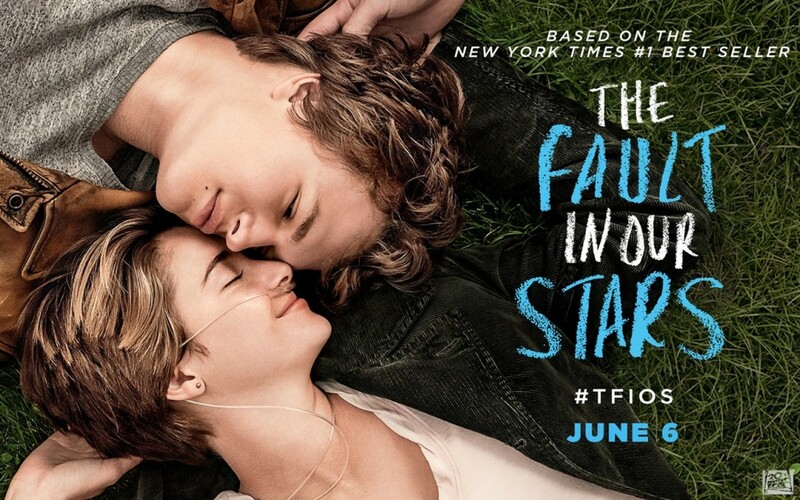 Directed by Josh Boone and based off the popular novel of the same name, written by John Green- The Fault in Our Stars is a romantic comedy/drama that revolves around two main characters, Hazel and Gus. Both are young people going through the circumstance of cancer. The story starts out with the film introducing Hazel. Right from the beginning, you get the feeling that this female character is a well -thought out gal. Her parents fear that she is this depressed and guilts her into attending a support group at a local church, ” to meet friends”. She of course reluctantly attends. She knows what she’s doing and she feels as if she’s doing it for her parents. Second group meeting in, she bumps into a young man of Gus. He’s this dream man, posing as a young 18 year old man. Perfect complexities and standing there impressing the young characters pants off. They smile, they’re cute. Awkward moments pass and the next scene is them in the room,sitting in a circle and talking about whatever they talk about at support groups. They are introducing themselves, a slight conversation on the fear of oblivion and the two, Hazel and Gus- are now smitten. Between conversations, we find out that Hazel is suffering from terminal thyroid cancer that has moved on to her lungs, making her lungs fill with liquid, cut off oxygen and suffocates her. Through out the film, you notice her carrying around an oxygen tank regardless of where situations take her. Gus (Augustus), has osteosarcoma. It lead to his leg being amputated and is luckily at this point in remission. The next couple few parts in the film are the build up. They support their friend going through some major life troubles (being blinded). This just brought them closer together and in result they start sharing things. The one thing they share is each other a book. For Hazel, it was giving Gus “An Imperial Affliction”, written by this mysterious man Peter Van Houten. Apparently he’s so amazing, but never has been able to be written to, though Ms. Hazel have tried many times. But of course, the moment Gus tries, he gets a response.This leads to this progression of them being even cuter in their relationship, an planning a trip to go meet this guy. Things don’t work out as planned and it’s just the start of the stress that leads through the rest of the movie. It’s the downward spiral that just leads to the ground. This is definitely a movie to watch, and if you don’t feel like watching the emotional film- read the book. It’s geared toward young adults, so you could be potentially watching/reading/starting a collection for your future babies. It makes you cry, plus it makes the reader think about the bigger things. There’s this depth, but also this comedic note the the theme of death and I truly believe that’s its a humbling process to think about at whatever stage or age.